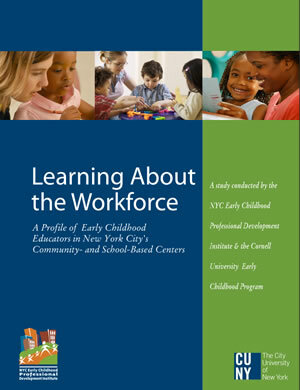 Browse our collection of guides, books, briefs and other publications aimed at providing high quality, thought provoking information for teachers, families, policy makers and all stakeholders in the field of early childhood. Throughout this report, you will see that the components of our work intersect with each other. We build systems, we innovate, experiment with, and evaluate new paradigms – all the time with an eye towards implementation, and then we support policy change.This diversity of impact comes from our focus on and deployment of a diverse and talented range of people. 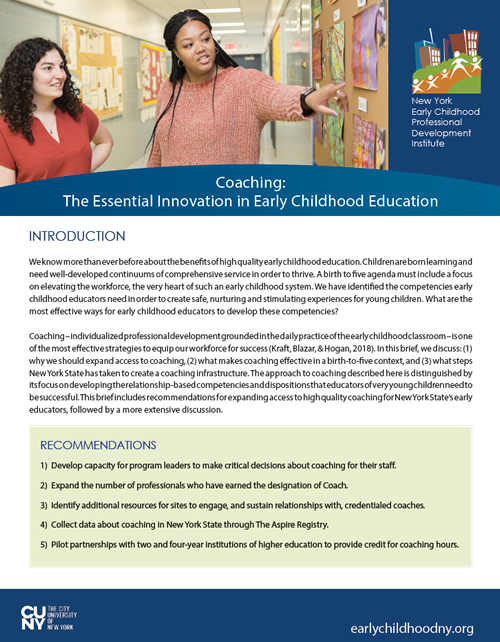 what steps New York State has taken to create a coaching infrastructure. The more you learn together about a child and how she develops and learns, the better you can support her. 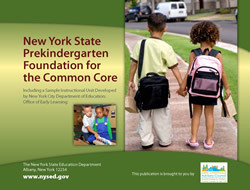 The New York State Early Learning Guidelines (The Guidelines) can help. 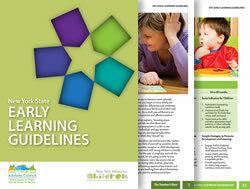 Use this document to get started with the Early Learning Guidelines. 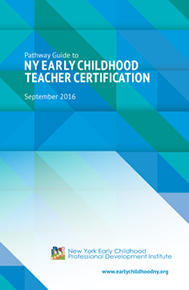 There are several pathways to becoming a New York State certified early childhood education teacher. This booklet is designed to make navigating that process a little simpler. 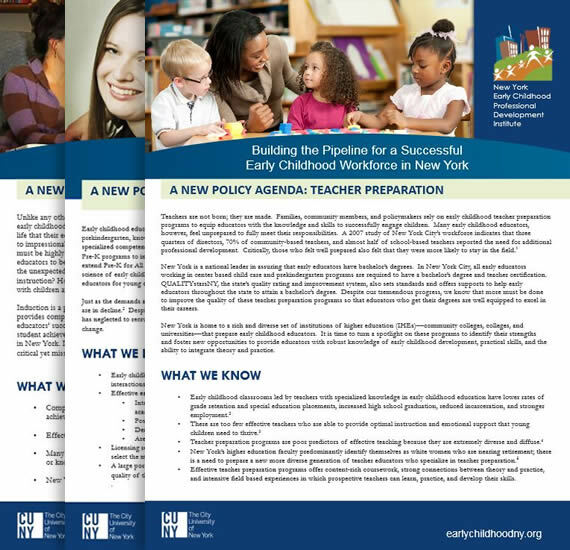 Our policy briefs contain research-based policy recommendations for making positive change in the field of early childhood care and education. 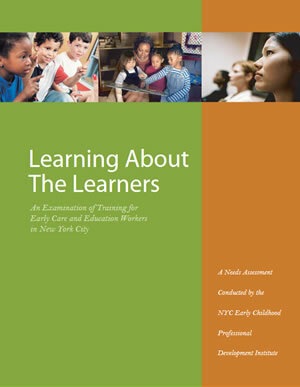 A needs assessment conducted by the New York Early Childhood Professional Development Institute. 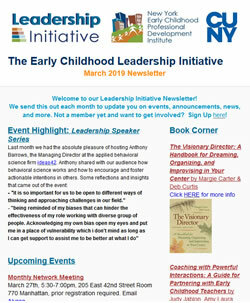 Produced by our Leadership Initiative, this periodic newsletter provides updates, recommended resources and profiles of membes of the Leadership Initiative.